I have been guide fishing; Mark, on the flats of Biscayne bay for over 18 years now. In those years of fishing he has gotten bit by the fly bug. Saltwater fly fishing is very difficult And yesterday we had winds of 20+ mph, straight out of the south. We were going for bonefish, but instead of fly fishing he chose to fish a spinning rod. We had some good visibility on the flats that day. We found a school of mudding bone fish. Mark made a perfect cast at two them and hooked up right away. The 9 or maybe 10 lb. 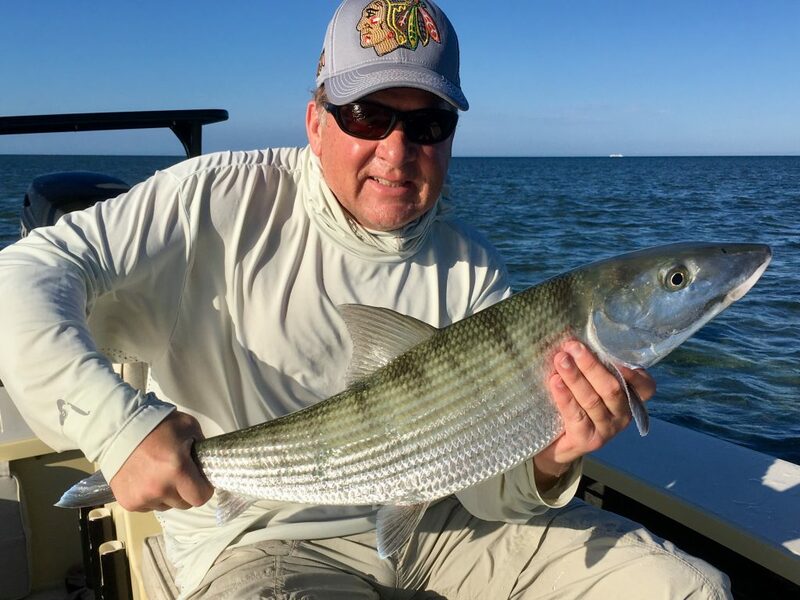 bonefish screamed off over a hundred yards of line on the first run. After two more good runs and several laps around the boat, we landed the big bonefish, which is his personal best! After bone fishing we moved into some protected areas of inshore of Miami for some tarpon fishing. I put a crab out the back and planned on fly fishing from the front of the boat. Before I could get a fly tied on his fly rod, the crab had gotten eaten and we are hooked onto a big tarpon. 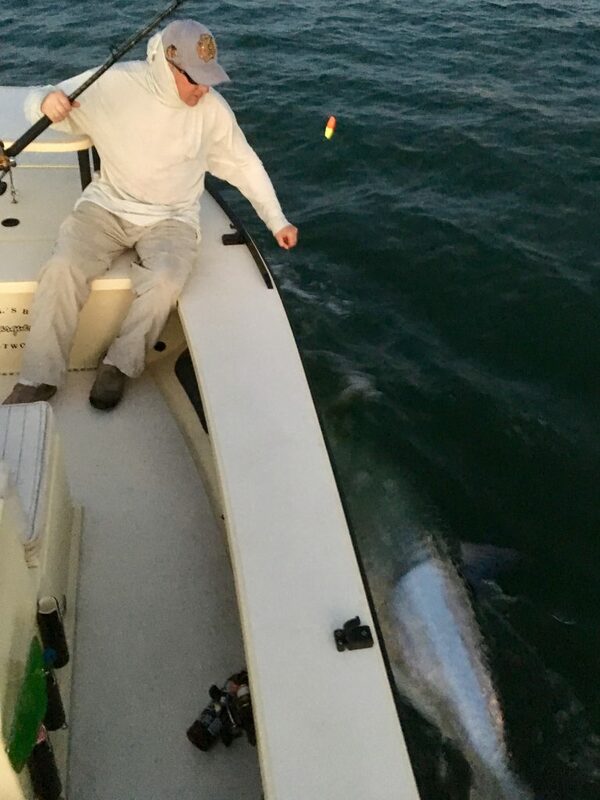 After about 40 to 45 minutes of fighting this large tarpon, as the sun is setting, we got it along side the boat. The light was low and the photos not that good, but this was a very long and fat tarpon. As you can see, I could not get the fish and Mark in the frame. After landing this beast of a tarpon, we headed out to fly fish for more tarpon. Miami inshore waters hold a lot of tarpon this time of year. We did hook four more tarpon that night, all while fly fishing, but did not land any. We will try to do better again tonight.